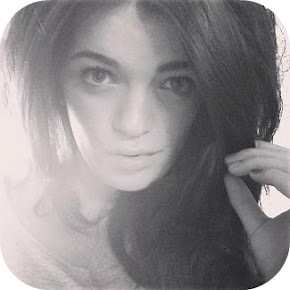 Vanity Dollhouse ♥ UK Beauty and Lifestyle Blog: Tag: Why Do You Wear Make Up? Hi Ladies, hope you're all well and good. I was reading through a few blogs and saw this tag which I thought I would join in with. I'm a massive make-up lover! So I tag all my followers to join in aswell. ♥ When did you begin loving make-up? I've loved make-up for as long as I can remember. When I was little, I used to go up and visit my family in Stoke-on-Trent every so often and my older cousin would give me bags and bags full of things she no longer wanted. I remeber one morning like a kid on Christmas Eve opening some bags of goodies when I found a big blue box with all of those dodgy coloured eyeshadows and lipsticks and being so excited. From when I was just eight or nine years old, my daily attire consisted of electric blue eyeshadow and shocking red lipstick. Cringe. Once I got to high school I wore a bit of lipbalm and some Miss Sporty foundation, I don't know which is worse! When I was 16 and begun studying Beauty Therapy that's when things changed and my make-up became a little more acceptable. And now I have a stupid amount of products and am lucky enough to be able to mix up my make-up looks quite often. ♥ How do you feel without make-up? I'll be completely honest and say that I used to be the kind of girl who would never leave the house without a full face of make-up. Oh how times have changed. In the past few years I've learnt to feel completely comfortable without slap on, and even went to Westfield last week without any on and my hair in a messy bun! Now I know I'm not kidding anyone, and like any girl, I don't exactly feel myself and as confident without make-up but thats okay right? 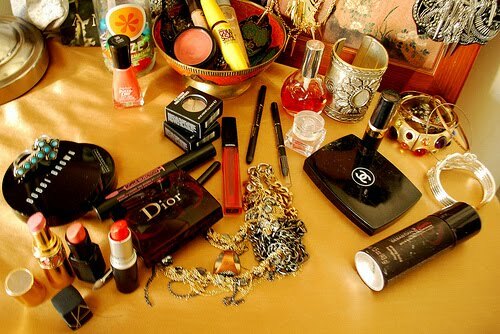 ♥ What do you like about make-up? I love the way you can create something whch is entirely your own. You can make such a difference to your look and the way that you feel just by switching up the colour of your lipstick. I also love the way you need to experiment by using loads of different products to find what suits you best. It hides all of your flaws and highlights features which you're proud of.